Modicare is considered one of India’s best health insurance schemes that offers 500 million people from vulnerable households the opportunity to access modern medicine and other quality health care facilities. According to this scheme, each family gets an insurance cap of INR 500,000. Though there are many issues with implementing such a healthcare scheme, it is considered the best and most ambitious healthcare scheme globally, which will surpass Germany’s and the US’s healthcare schemes. Now that we have understood what Modicare is about, it’s vital we talk about Modicare’s Netowrk marketing. Network marketing or multi-level marketing is a business opportunity fairly popular among people or individuals who are looking for flexible business opportunities or part-time opportunities. Many companies like Avon, Amway, Oriflame, Vector Marketing among others follow this business model to create word of mouth, awareness and acceptability in the market. Multi-level marketing or network marketing works on the concept of individuals investing a small amount (usually a few hundred dollars or thousands of Rupees) for a product kit or sample kit then directly sell the product line to known people like friends, family or social media followers online. However, not all MLM companies require you to make such hefty purchases. Avon requires you to purchase their kit in order to sell further but the requirements differ from brand to brand and company to company. Dealing with end users is easier and limited and not as strenuous as an actual sales person’s job. In some cases, you may also be asked to “add” members or refer members to be a part of your sales force to help generate income. Some brands offer you a small compensation for each member added to the sales force but in common practice, it is termed illegal and is also unadvised. The drawback with network marketing is that such program are in most cases exempt from business opportunity regulations and are also not defined under franchise. Also, if the consultant deals in unfair practices, it is the brand that suffers not the consultant. Modicare is India’s largest and most successful direct selling company. In fact, it is also an industry leader in the market with around 40 centers across the nation. It supplies products to more than 7,200 cities and offers products of all categories; from personal hygiene, personal care, Food and beverage, health and wellness, laundry products, home care, skin care, auto care and nutrition. The products offered under Modicare program are developed by the company’s experienced technical staff at its research and development centers. The products offered under this scheme are said t be formulated according to the international standards but in accordance with the taste of Indians. 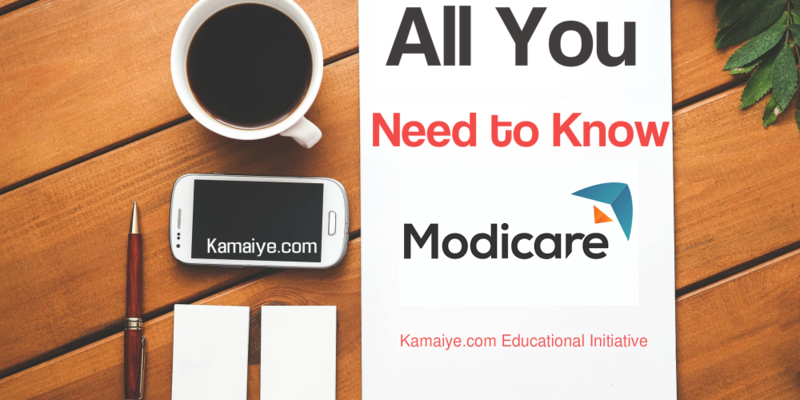 Modicare dates back to 1996 and the roots of pioneered direct selling in the nation stared around that time. Modicare initially started with just 1 center and 7 products. It is said the approximate number of consultants during that time was 400. Today, however, the business model is spread across the nation with over 40 centers and caters to around 2700 cities. Is Modicare Network Marketing really worth it? Network marketing and multi-level marketing is a growing and fast expanding concept in India. If you are willing to explore a growing concept then there is no harm in trying this realm. In fact, ever since internet penetration in India has gone up and being social plays a great importance in today’s millennial’ lives, it is an area worth exploring. Network marketing basically bridges the gap between end users and direct selling companies. Companies all over understand the importance of “personal touch” and credibility thus promote this business model to yield them brand equity and a competitive edge. Multi-level marketing lets brands’ reach people in locations they have difficulty reaching or reaching the right kind of audience in other words, network marketing is not limited to any region, person, gender or area. Why go for Modicare Network Marketing? You are your own boss and take ownership of the products you sell. In other words, through network marketing, you offer an easy flow of exchange of products and services. Modicare’s network marketing program also offers you information on which corporations offer this service and how to get started. This scheme connects direct sellers to different companies’ products and services. Companies that offer Multi-level marketing are gaining acceptance in India. The concept of multi-level marketing is that the customers get insight on various products available and for a connection between the end customers and MLM or multi-level marketing companies. The products offered are not restricted and it is up to the consultant as to what target he or she wants to achieve. Through this scheme, consultants can grow and connect with end customers on a personal level who may, in the long run, turn to you in the future for recommendations.